When I first met Stephen Hawking in his Cambridge office in 1998 he had mixed feelings about the multiverse –the idea that our universe is but one of many. Together, we set out on a quest to gain a deeper understanding of it. Our journey led us to the big bang and the beginning of time, and paved the way for an entirely new vision of the cosmos. The multiverse is a natural, and probably even unavoidable, consequence of a quantum world that is fundamentally governed by uncertainty and chance. But the existence of a multiverse challenges science as we know it and limits what cosmology has to say about our world. 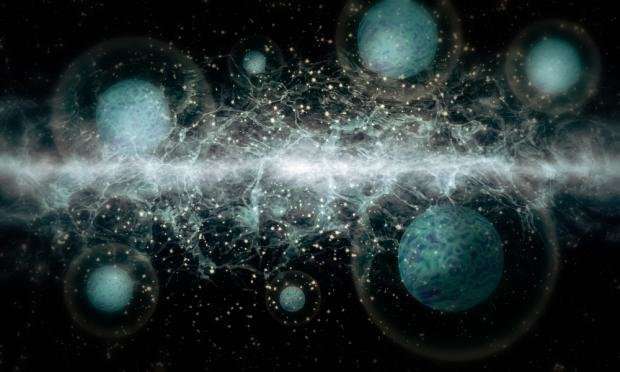 Some have even argued the multiverse idea should not be regarded as science at all, since we can't hop from one universe to another to test it. Hawking, stubborn, smart, and above all infinitely passionate about cosmology, disagreed with this. "My goal is simple", he once declared. "It is a complete understanding of the universe. Why it exists, and why it is the way it is." Thus we set out to weave the intuitive idea of the multiverse into a rigorous and testable framework for cosmology. 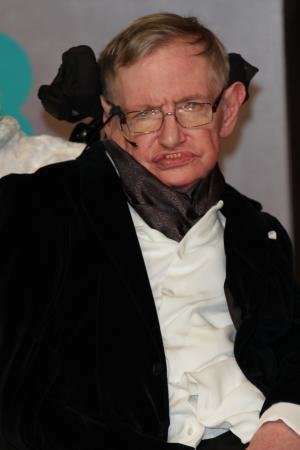 I had come to Cambridge from Belgium to study theoretical cosmology, and Hawking took me on as his graduate student. Working shoulder to shoulder, for days on end, we gradually found ourselves on the same scientific wavelength. He was a truth seeker, with an insatiable passion for pure scientific inquiry and an incredible joie de vivre. I believe this is what kept him going despite his physical challenges. It's also what made working with him so much fun—you never quite knew when the physics ended and the party began. Stephen and I grew close through our intellectual connection and shared joy of discovery. We became soul mates in our mission to get a grip on the multiverse. During the first years of our collaboration, Stephen communicated through his computer by pressing a mouse he held in his hand to direct a cursor on the screen and select the word he wanted from a digital dictionary. This way he would compose sentences at a rate of a few words per minute. When he lost the strength in his hand needed to control the mouse, Stephen switched to moving the cursor on the screen by activating a motion sensor mounted on his glasses with his cheek. And when this too became difficult, I would position myself in front of Stephen, clearly in his field of vision, and probe his mind by firing questions. Stephen's eyes would light up brightly when my arguments resonated with his intuition. We would build on this, navigating and exploiting the common language and the mutual understanding we had developed over the years. Our search for a deeper understanding of the underlying architecture of the cosmos led us to the most extreme realms of our universe at the edge of time: At the end of time deep inside black holes, and the beginning of time at the Big Bang. What happens at the edges of the world, when time ceases to be meaningful, and Einstein's theory of gravity breaks down? Are the physical conditions at the universe's origin anchored within the realm of the natural sciences, encoding the overall evolution of the universe that emerges? Why does the universe bother to exist at all? At our universe's origin, the macroscopic world dominated by gravity and described by Einstein's warping of space-time merges with the microscopic world of particles, ruled by quantum theory. To describe what happens at the Big Bang, these two very different perspectives on the world must be combined into a single unified framework. But quantum theory predicts probabilities for different outcomes. In the quantum theory of particles these could be probabilities to find a particle in one place or another. Applied to cosmology, however, the outcome is an entire universe! So, any quantum theory of the Big Bang will thus predict a variety of different universes, each with its own evolution. Together these form a multiverse, a superposition of many worlds, existing in parallel. Drawing on new developments in string theory, Stephen and I developed such a quantum model of the Big Bang. String theory predicts that our universe is fundamentally a hologram that reveals itself only in the most extreme conditions, such as those at the Big Bang. This is a bit abstract, but a hologram is a kind of change of dimension in which all information in a volume of space is projected and encoded on a surface. We used the notion of holography, developed in string theory, to project out the dimension of time in the earliest stages of evolution of our universe, and to describe these in an entirely timeless fashion. In doing so our theory avoids the breakdown of Einstein's theory of relativity at the Big Bang, because we lose any notion of time on our way towards it. Shortly before his passing I sensed Stephen strongly felt holography gave us the grip on the multiverse he had always searched for. We are certainly not down to a unique universe, but our description of the Big Bang as a hologram implies a significant reduction of the multiverse, down to an ensemble of universes which evolve in a way similar to ours. With characteristic and unmitigated enthusiasm, Stephen declared we were at last in control of the multiverse – and he liked being in control. Perhaps we are. But much more research is needed to decode the hologram at the beginning of time to fully apprehend the new view of the universe that it conceals.